Senior Managers, Managers, Executives, Supervisors and Customer Service Support. 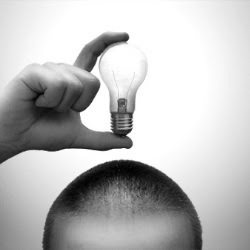 Creative, critical thinking means to think differently and unconventionally. It implies the existence of a propensity to be engage in thinking that defies conventional practice and an ability to form a new perspective in identifying problems and seeking novel solutions. Analytical skills are required for creative, critical thinking. These skills include the ability to analyze information relating to issues, events and concerns on a structured three phase approach that involves planning, analyzing and drawing conclusions. These skills may be honed through practice. This training program has been designed to introduce participants to the concept of "critical" or unconventional thinking that is required to solve complex problems and develop analytical skills. It starts with the premise that everyone is a habitual, conventional thinker and then encourages the participants to expand the thinking horizon beyond conventional thinking through a series of games and activities. This training problem has been designed to inculcate problem solving techniques using very well structured analytical skills. The problem solving techniques as well as analytical skills approach shall be introduced through case studies designed to suit the organizational requirements. Such an approach is aimed to facilitate the application of key problem solving techniques in practice using problem-solving tools in a work based setting.